Clicking on the "Edit My Account" Link will bring you to the Family Members page. If you wish to edit data for any member of the family, just click on that name. You can also add additional adults or children to the family. 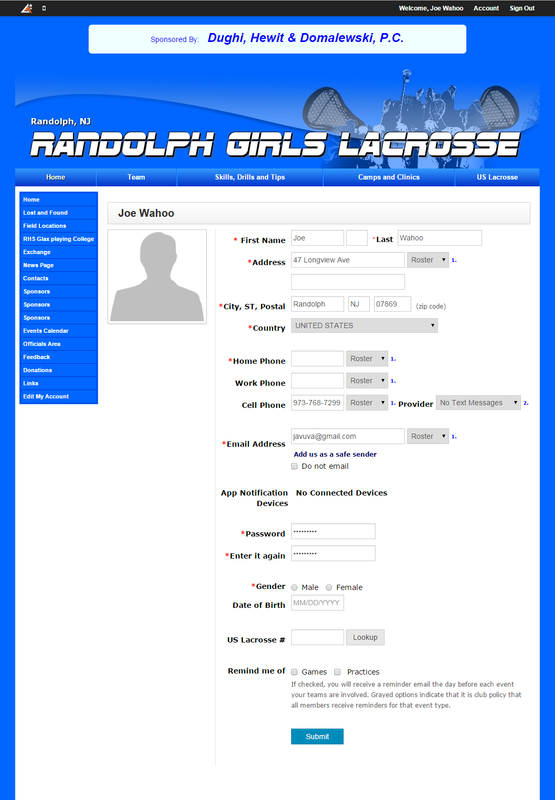 When you click on the name, you will be able to edit a wide variety of fields. Please make sure you fill out an email address and cell phone, as these will be the primary way to have information an updates pushed to you. You can even change your password in this screen.